Super comfortable and really fast to make, this comfy pants pattern comes with many options for you to experiment. From printing, cutting out to finishing, these pants are so fast to make, you’ll want to fill your wardrobe with them. Dress them up and go out. Dress them down for running about doing errands, or pair with your workout top for going to exercise classes. This is the most comfortable and well-fitting pair of pants you’ll truly want to make over and over. 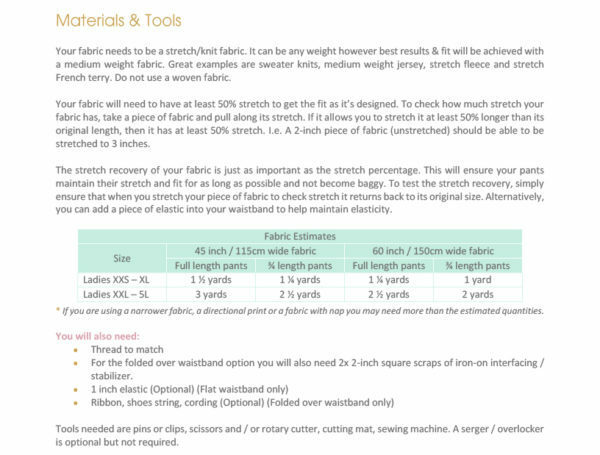 Fabrics – This pattern is suitable for knit fabrics only. Not suitable for woven fabrics. See the materials list in the gallery above for yardage. A serger/ overlocker is optional but NOT required. 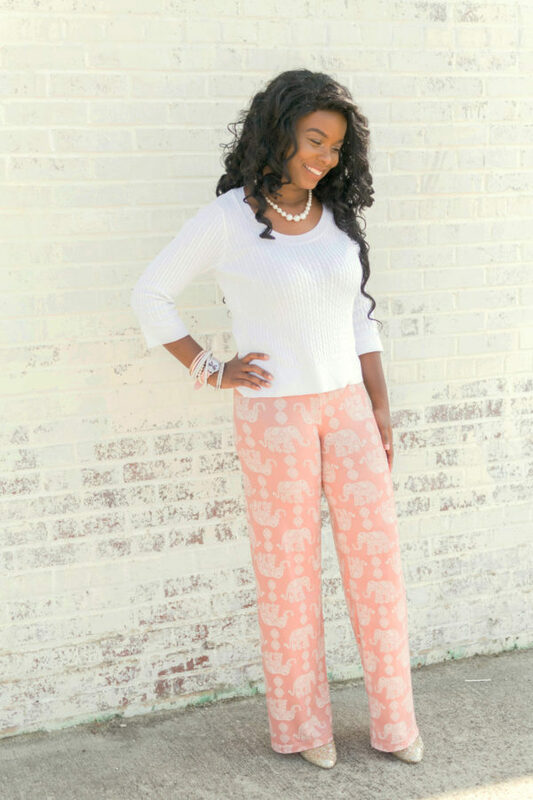 The Pippa Pants Pattern is a beginner friendly pattern with an excellent tutorial and great photos to guide you through. Great fit and depending on your fabric choice can go from the yoga class to brunch! Quick and easy sew, a very lovely pair of pants! The fit was excellent without needing any “fixing”, and I love the wide leg option. The two waistbands and different leg widths/lengths let you get different looks from the same pattern, which is always a plus. A beginner could easily make these pants and get great results…pattern is clear and well-written. The yoga pants are a super quick sew. Instructions were easy to follow. Most comfy pair of yoga pants ever, make them super comfy for jammie pants when length is adjusted. A flattering style in the regular or wide leg option. l hacked my pair to make some work out pants and they wear brilliantly. I love this pattern so much! It has a lot of versatility! I found the Pippa Pants to be easy to put together and also easy to blend sizes. They can serve a multitude of styles depending on the fabric. I made a pair from some mystery microfiber and they are awesome lounge pants, and I made another pair in 3/4 length wide leg in a jacquard and they are great with heels! This was a quick and easy pattern. These pants is perfect for my pedometer challenge! These pants are incredibly fast and easy to make. They are the most comfortable pants I own and super flattering! Two pairs down and a million to go. I love the Pippa pants! They fit wonderfully and sew up quickly. I especially love that even though they are a more relaxed fit they can still be dressed up. The Pippa Pants are a great fit – with two leg widths, two band options, and a normal woman’s legs taken into consideration, they are awesome in this world of skinny pants patterns. They sew up quickly, with easy to understand instructions for beginners onwards. I really like the ruching – it was simple and works well on the sides – and is especially flattering if you lack a flat mid section. The back is flattering to my behind, and I can’t take them off! Thanks again for another stellar pattern! I love how quickly these amazing pants come together! They are so comfortable and the fit is perfect! I have never sewn with knits before, however even for being a beginner with knits, the Pippa pants were a super easy and super quick sew! In fact I managed to get a pair cut out and sewn together completely in a little over an hour (between dinner and kids bedtime!) The instructions were brilliant to follow and very clear. I love these pants and how comfy they are and no doubt will be making more as we head in to Australia’s winter. They also pair perfectly with the Circle Cardi! Awesome easy sew! Joy to sew something so easy that looks so good. Very comfortable pants that sew up quickly. I love the options for the waistband! Super easy pattern that you will make over and over and over again! Less than an hour to cut/sew but a lifetime to wear and love! The fit is spot-on, these are super comfy, and I just love them! I love them so much that I made them as shorts. The pattern offers several lengths and regardless of which length you make, you’ll love Pippa as much as I do! Sweet! Divine! Gorgeous! Comfort PLUS! This is a very quick and easy pant pattern to follow. Very beginner friendly! i love these pants! They are so easy to make and depending on the fabric choice, can go from lounge pants to dressy ones. I didn’t have to make any adjustments and it fit great! I love Pippa Pants and the versatility of the pattern. It goes from casual to fancy and chic in just a clap depending on the fabric and how you style it. Really amazing! The yoga pants are a super quick sew. Instructions were easy to follow, having an option for different leg widths, waistbands allow for personal fits on different bodies. Most comfy pair of yoga pants ever, make them super comfy for jammie pants when length is adjusted. This is a very quick and easy sew that brings such a great well fitted and flattering result. I love it! 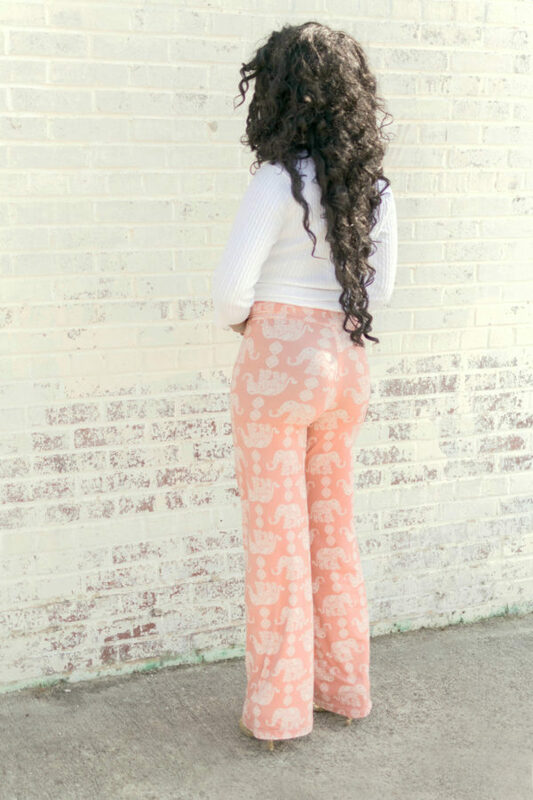 These pants…I cannot say enough about them.I printed out the pattern and whipped up a pair in less than an hour. I tried them on and didn’t want to take them off to hem them, so made another pair. And another. And another! Until I had 6. And more are on the way. These are the BEST pants ever! It’s a super quick, super simple sew. And they’re super comfortable. I probably need to hack them to be shorter, since I’m short and have to do like a 2.5 inch hem on these to make them not hang under my heel, but still–Best. Pants. Ever. Possibly the EASIEST & QUICKEST things that I’ve ever sewn ..also the comfiest too! A fantastic pattern for beginners who are scared to try out a pair of pants! They sew up fast and easy! The drawstrings on the sides are a nice special touch! These are booty magic pants! Flattering style with unmatched comfort make these not just yoga pants but everyday pants. Wear these to school pick up, working out and even dress them up for date night! These pants are heavenly! From start to finish. They are such a simple sew and when I’m looking for comfort I don’t want a pattern to be difficult. I absolutely love the wide leg option, it still showed some love to my hips but is loose enough to look stylish and drape. These in a French Terry are the perfect cozy fall morning attire. Rebecca Page’s patterns are well drafted and tested by talented seamstresses. You will surely do the happy dance once you finish your project. Sizing is accurate and they are very easy to sew. The instructions are very easy to understand. This pattern is priceless!! They are the comfiest pants that you can stitch up in no time at all – it almost takes longer to print and prepare the pattern pieces than it does to sew! There’s no reason to buy mass produced when you’ve got a pattern as perfect as this one is. These yoga pants are very easy to sew, and even more comfortable to wear! I love the yoga pants, and will be making many more in the near future. These pants are seriously comfy. Sewing them up was a breeze. I love the tie and rouching details at the side waistband. I definitely recommend this pattern! Very easy pattern with great results. Super quick and easy sew!!! Great for a beginner still learning to sew, and lovely lounge pants for yoga or just around the house! These pants are so easy, so comfortable, and so perfectly fitting. They’re a home run for a quick pattern that looks good and is easy to wear. The RP Yoga Pants will be your go to pants! No need to take this only to yoga. Using some stylish French Terry or DBP fabric like you see here, you can be comfy and look great all day long. The pattern has a choice of wide or medium width legs and a flat or ruched waistband. I’ll be wearing mine all day, everyday! Brilliant.. simple and quick sew . These pants are so comfy and a quick sew! There will be plenty more of these in my wardrobe soon! Quick and easy sew! Seriously takes about 10 mins to stitch up! These are the most comfortable pants I have ever had! They are a super fast sew especially on a serger and the instructions are so easy to follow. There are 2 different waist bands, leg widths and lengths to choose from so you can make a pair for all seasons and adventures. I will be making many more pair! These are the most comfortable pair of pants you’ll ever make! It’s a simple pattern that goes together quick and easy. The two pant leg width options also make this pattern very versatile and can be made for casual or more formal occasions. This is by far my favorite! It’s a quick, straightforward sew that can be made with several types of knit (DBP, cotton lycra, even modal) depending on your mood. I love the loose fit version and I can see dressing it up or down. I’ll definitely be adding many more to my wardrobe!! Sometimes it’s wonderful to have a quick sew – even better if it fits perfectly and is super versatile. The wide leg can be used to make dress pants and the bootcut make the perfect athleisure pants! I want a pair in every color! 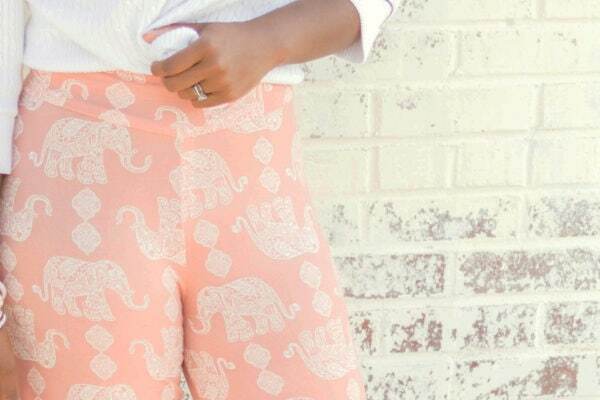 These pants are AMAZING! Love the different band options! Thank you Rebecca, I’ve always wanted these types of pants! Loved this pattern. If you use the flat waistband this is the simplest pattern ever. I love how simple it is to find your fit and then you can change up the look with an easy to follow fold over waistband that offers a simple challenge. The directions are easy to follow. So simple to whip up a pair of workout pants. 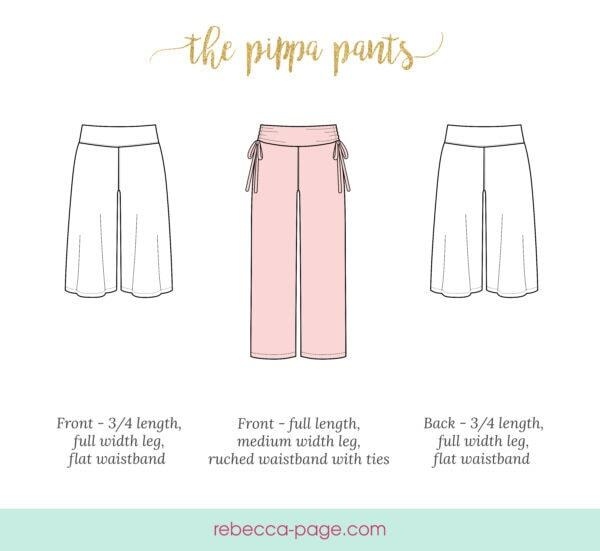 Pippa pants are a very quick sew, the options for different leg widths makes these suitable for many occasions. These pants are sooo cozy! SO quick too. Such an easy, versatile pattern! Depending on the fabric choice, they can be lounge pants or dress pants! Another win for Rebecca Page patterns! I love how few adjustments I need to do on these patterns for them to fit my body. Easy to follow instructions with pictures as always leading to a comfortable and fun to wear result. 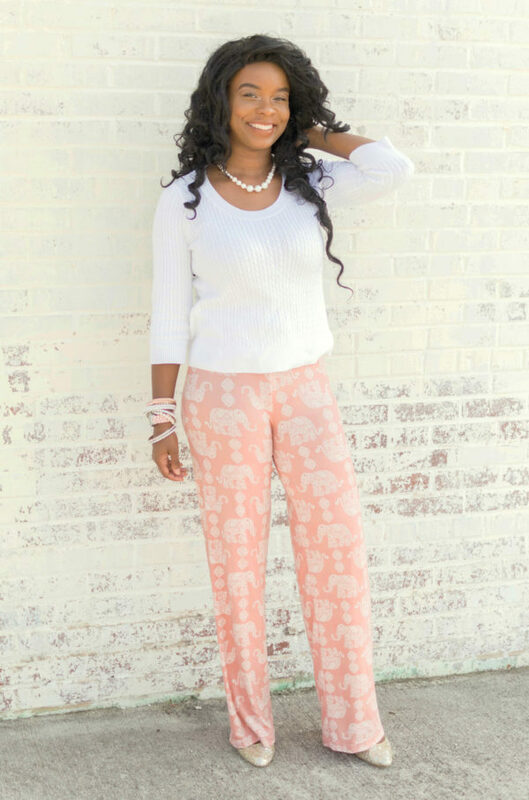 The dreamy drape and the pippa pants are the perfect comfort outfit! 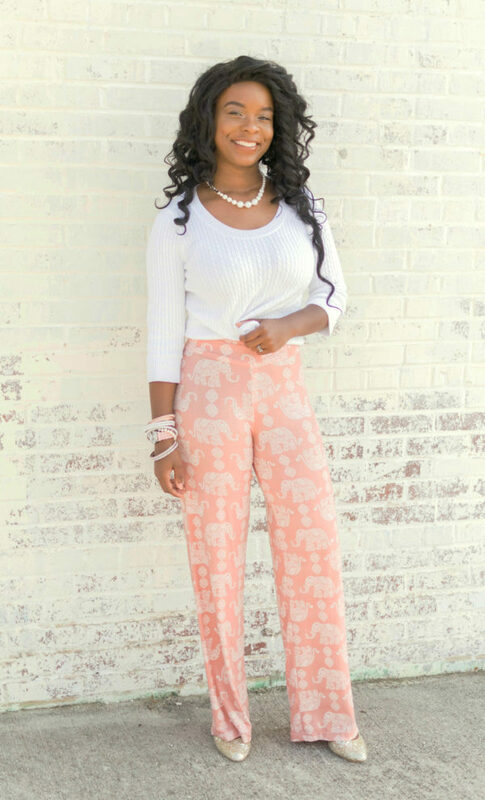 The pants fit like a dream and either can go from casual to dressy ! Love this combo. Love how quick and easy the pants came together. I can’t wait to lounge around in them. Very easy flattering pattern. My pants are so comfy yet they still look cute too. Tag your photos with #rppippapants on Instagram.